Australian Binary Plan or Tri- Binary plan looks quite similar to each other. However there is a difference between the two. That difference is basically of the matching that is required only in case of Tri-binary. At Interface Software Services, we develop as well as design software solutions for the Australian Binary Plan for different MLM companies. Here, we have a team of expert web developers with several years of experience and they also conduct thorough research to keep themselves updated with the latest technology of software development. Good MLM software is incomplete without Australian binary plan. It is for this reason more and more people looking for the perfect MLM solutions give privilege to Australian binary plan as well. 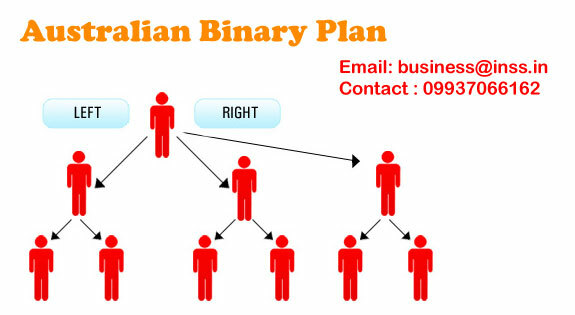 The Australian Binary MLM Plan is a concept where left and right sub-tree along with the third sub-tree from where no matching pairs required for compensation. In other words, Australian Binary Plan needed at least three downline child members under a one introducer parent. This plan is very similar to Tri-Binary MLM Plan. Parent introducer compensated from the third downline sub-tree, no matching pairs required. It is a plan where team efforts works for each other as a result MLM company grows up. Please contact us for a NO OBLIGATION FREE QUOTE or for any answers that you are looking for.